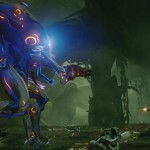 Good: Still good after all these years, loads of multiplayer content, Master Chief! Halo, Microsoft’s flagship, has been touched up to find its way to the Halo: The Master Chief Collection, in order to give us our dose of the Master Chief for the next generation. Some may cheer upon the fact that the Master Chief is indeed the leading character of this package, some may be disappointed that ODST, Reach and Halo Wars are not included in the collection. Nonetheless, Halo galore is upon us. The Halo: The Master Chief Collection will guide players through the original trilogy and the beginning of the second trilogy. To add some background to the overall plot of the Halo series (main series), you’ll find yourself in the future in the 26th century. Humanity has colonized many worlds in the galaxy, in order to keep growing and evolving. Sadly, evolution does not always mean progress and humans don’t always tend to get along. Rebellions break loose and disaster strikes soon after, with the coming of the Covenant. The Covenant happens to be an evil alien race that wants to take over the world in order to become the master race. You’ll be playing as the ‘Master Chief’, the only Spartan (pretty much the equivalent of a futuristic Captain America with guns). Whilst the Spartans were originally ‘created’ in order to suppress rebellions, it seems they were also the ideal soldiers against the covenant. 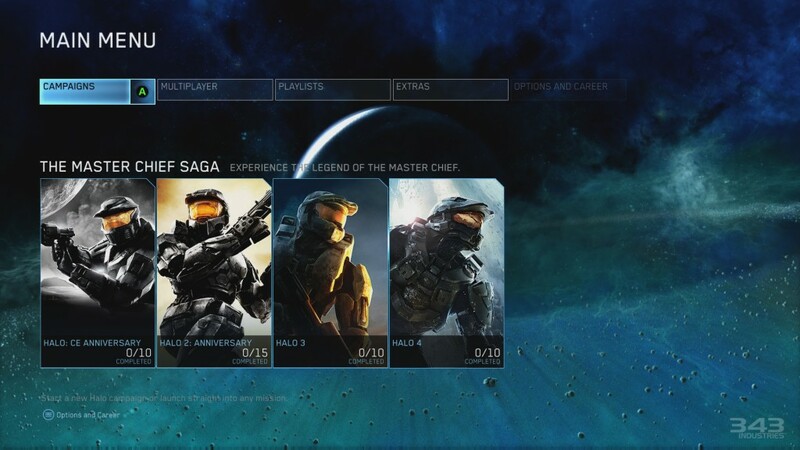 Sadly most of them were wiped out in the battles and now only the Master Chief remains. It’s a pretty simple case of a super-soldier saving the world from the bad guys. Whilst there is much more to say about the actual, quite epic, storyline this is pretty much the essence of the Halo games. Graphically Halo: The Master Chief Collection has received an array of updates in order to be ‘ready’ for the current generation of consoles. That being said, whilst all titles in the package look better than on their initial release, the first two installments of the game still feel a tad dated. It’s fun to finally see Halo 2 in its remastered state, seeing even with some dated textures and animations, the game looks quite nice. It’s clear that a lot of work went in to remastering these games, in order to make them attractive or simply ‘up to date’. 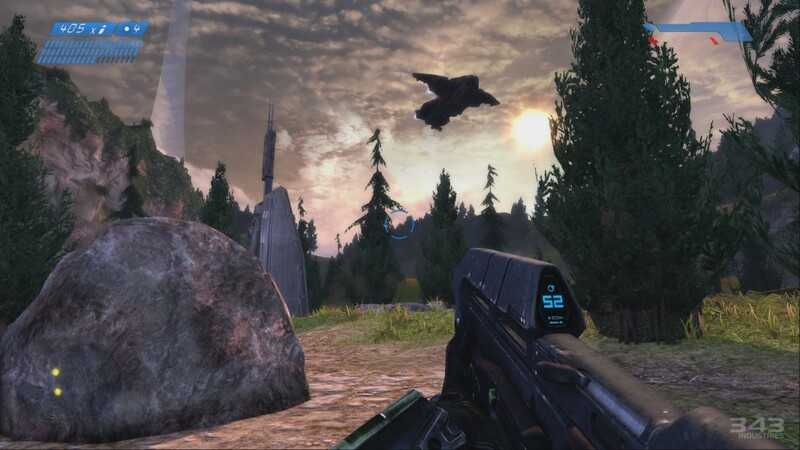 Whilst the first two games probably took the most work to remaster (the first one was already remastered), Halo 3 still looks nearly the same as it did on the Xbox 360. Even though the game still has a lot of charm, this title feels as if it was neglected the most. Nonetheless, it’s great to see one of the biggest titles of the previous generation come to life, once again. 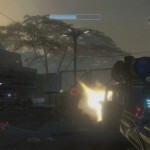 Halo 4, even with only several minor updates looks surprisingly ready for the current generation. Whilst some things still look a bit less qualitative than the Xbox One can handle, the game still looks great. Textures look quite smooth and detailed and the environments have a great amount of details. Overall all the games, be it with big adjustments or small ones, look great. They will never put the hardware of the Xbox One to the test, but they will surely live up to certain standards, if not exceed them. An epic soundtrack and a decent voice cast to support the entire game, pretty much sums it all up. It’s clear that from the first installment to the last, a great deal of attention went into the soundtrack to create the right atmosphere. Even the brighter Halo 3, is accompanied with the right music in order to create the needed serious undertone. Truth be told, it’s still an amazing moment to hear Master Chief talk for the first time. His voice is not overly macho but it still emits a certain kind of sternness as well as likeability. Touches like this, show that the franchise does its best to go forward, in order to please its fans. 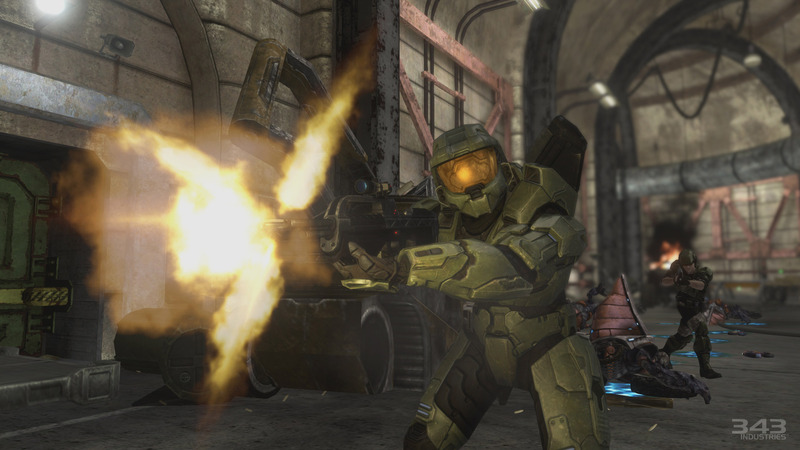 For the most part the Halo franchise consists out of first person shooters. That core of the four main titles is something that has stayed similar over the course of the last two generations. With the Master Chief Collection, we are able to see where the franchise started off and the evolution it has gone through, during the course of the four titles of the main series. When playing through the four titles in the collection, you’ll again notice the evolution when it comes to the overall control scheme. The first Halo game will feel a lot slower and sluggish at times, whilst the forth installment feels modernized and up to date. You’ll have to acclimatize to the first titles if you’re a shooter fan, before you get going again. That being said, the controls still prove to be straightforward, except for the zoom button. Even after all these years, using your right stick to zoom, still feels counterintuitive. Nonetheless, even the older games feel ready for the current generation. Halo, be it the first one or the last one, is one of those franchises that is simply a lot more fun when playing with friends. Controlling a vehicle together or using tactics in order to attack stronger enemies in the back, is one of those things that a lot of games tend to oversee nowadays. Not only playing through the campaigns together is an option, but all of the games in the collection have their own separate multiplayer modes. All of the games in the package have their own multiplayer mode, which creates a massive amount of multiplayer content. You’ll find all the original multiplayer modes intact from the four titles. You can easily choose which mode you wish to play, for which game and thus you’ll be able to ‘limit’ the content you’re able to see, if you haven’t played certain games in the collection yet. Whilst this may be the vaguest description ever, to describe the multiplayer portion of the game, it’s easy to say that the game has a massive amount of multiplayer content for you to choose from. If you can’t find your pick from the litter, then Halo simply isn’t your thing. If you’re not a fan of playing the original maps, you can try your hand in creating your own maps. A lot of fun extras were included in the collection as well. You’ll be able to access certain extra videos, the beta of Halo 5 and other (small) fun features. Whilst some features may be overlooked by most, they will certainly please a decent amount of Halo fans. 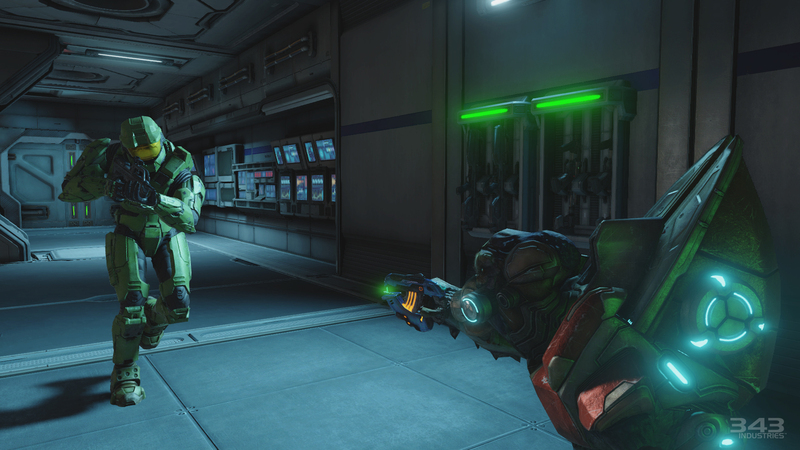 Halo: The Master Chief Collection proves to be a masterful collection indeed. Newcomers and verterans alike will be able to enjoy playing through the four campaigns and those who’d rather slay other people online will find themselves not knowing where to start first. 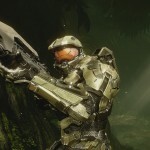 Halo has entered the ‘next generation scene’ and truth be told, we like where this is going.